Golems don’t have anywhere near the tribal synergy of their Arcanyst counterparts. 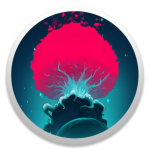 Even in the Golem factions (Lyonar, Vetruvian, Magmar), while decks often run minimal golem packages to gain access to powerful Bond effects, dedicated tribal decks are much more rare and lower-tier. In the other factions, things are even rougher. However, the sheer stats of the larger golems are sometimes enough to carry decks in this archetype to victory. The essential 2-drop pair to ramp out bigger golems. The other neutral golems with tribal synergy. Not super high power level, but usually one or the other offers enough of a benefit to make the cut. other neutrals: There’s a vanilla statstick golem available at every point on the mana curve. Ghoulie if you need a 3 drop, Hailstone if you need a 4 drop, Brightmoss if you need a 5 drop, Stormmetal if for some reason you need a 6 drop. Razorcrag is nice for some combo builds. For the Golem factions, it’s not difficult to find reasonably strong lists on this site and elsewhere, so I’ll give example decks which are more memetic. Lyonar – Midrange tribal with Peacekeeper as a finisher on the topend. 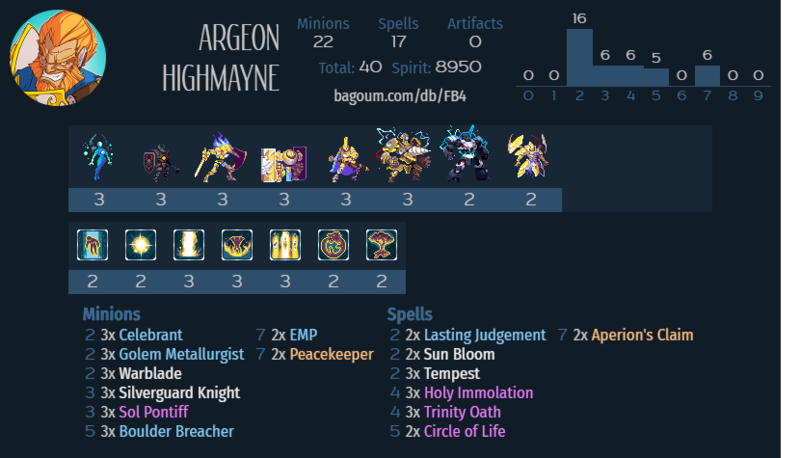 Decklist. 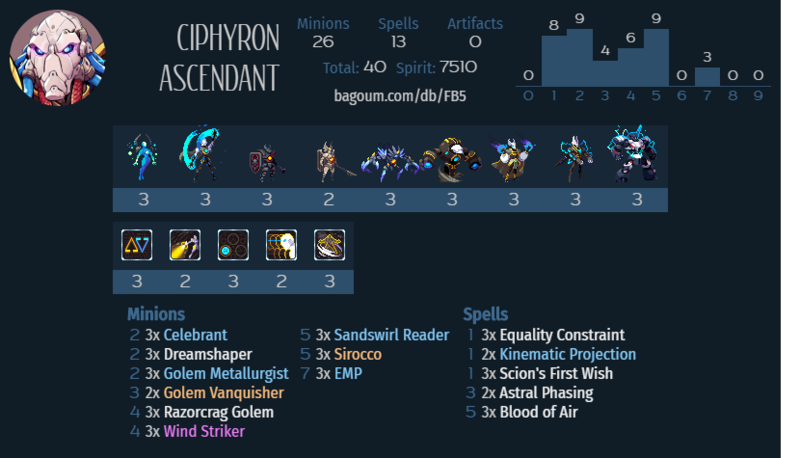 Songhai – A slower version of typical Kaleos midrange. Decklist. 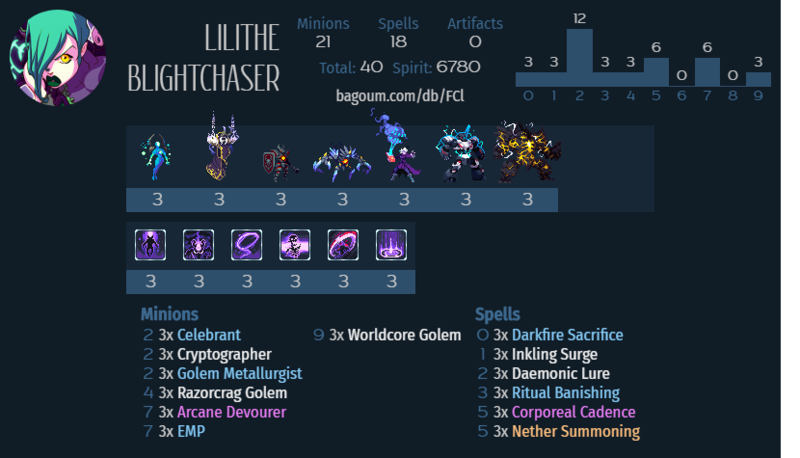 Vetruvian – An all-out tribal build with some silly Razorcrag tricks. Decklist. Abyssian – In addition to midrange tribal, you can also make a janky combo build looking to fling a Worldcore. 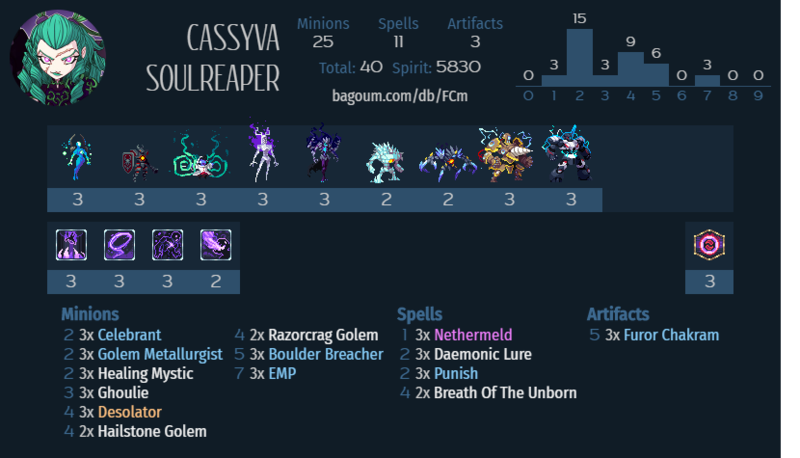 Decklists: Lilly, Cass (Credit Miguel for the inspiration). 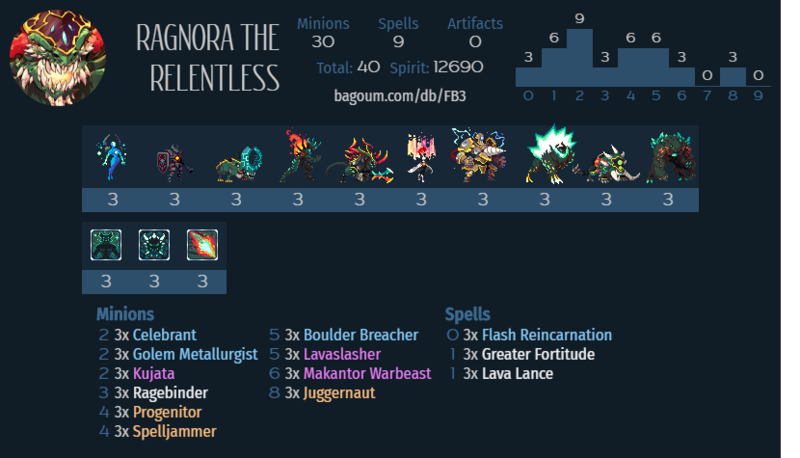 Magmar – Breacher is great with Rippers. See decklist above. 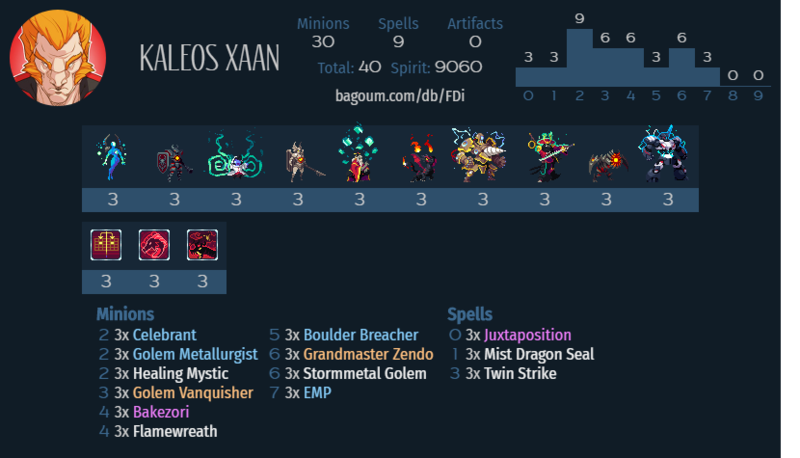 Vanar – Works with dispel synergies. 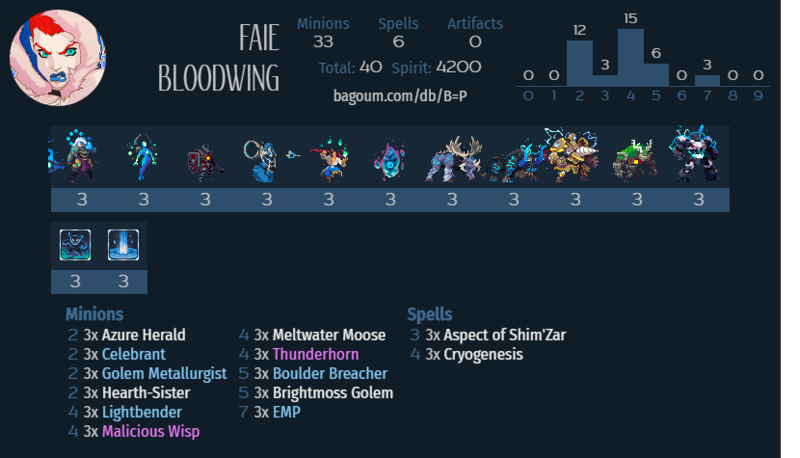 Decklist (credit DeathsAdvocate for the inspiration).